Location. 42° 56.484′ N, 74° 33.339′ W. Marker is near Palatine Bridge, New York, in Montgomery County. Marker is on Route 10, on the right when traveling south. Touch for map. 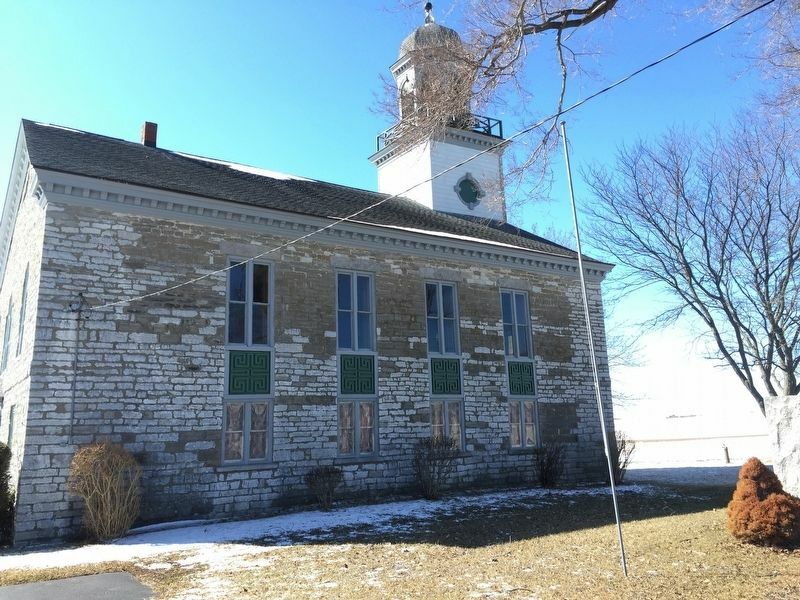 Marker is in this post office area: Palatine Bridge NY 13428, United States of America. Touch for directions. Other nearby markers. At least 8 other markers are within 3 miles of this marker, measured as the crow flies. Battle of Stone Arabia (about 500 feet away, measured in a direct line); Loucks Tavern (approx. 0.9 miles away); Stone Arabia Battlefield (approx. one mile away); Wagner Home (approx. 2.2 miles away); Routes of the Armies (approx. 2½ miles away); Canajoharie/Canalway Trail/Pathway Through Mountains (approx. 2.6 miles away); Northeastern Terminal (approx. 2.6 miles away); Van Alstyne Homestead (approx. 2.7 miles away). Touch for a list and map of all markers in Palatine Bridge. More. 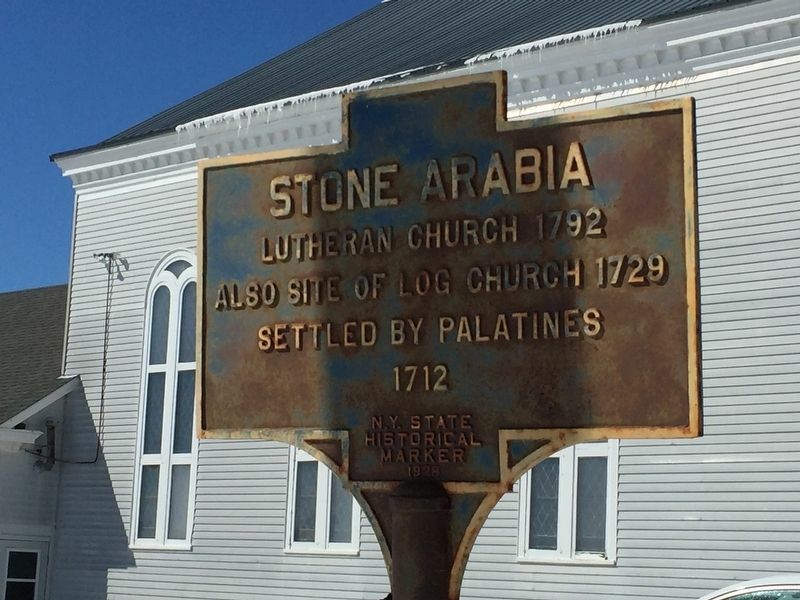 Search the internet for Stone Arabia. Credits. This page was last revised on March 29, 2019. This page originally submitted on March 26, 2019, by Steve Stoessel of Niskayuna, New York. This page has been viewed 42 times since then. 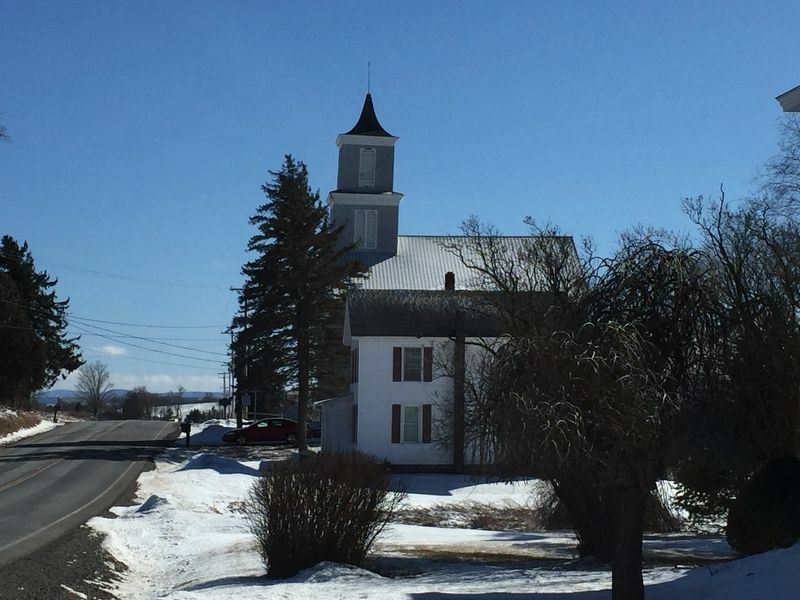 Photos: 1. submitted on March 26, 2019, by Steve Stoessel of Niskayuna, New York. 2. submitted on March 27, 2019, by Steve Stoessel of Niskayuna, New York. 3. submitted on March 26, 2019, by Steve Stoessel of Niskayuna, New York. • Bill Pfingsten was the editor who published this page.